It was a trip to mark 10 years of blogging and by reiterating the same trip which had led to my very first blog post. For several reasons, I had a lot of things to compare and contrast between the two trips - mentioned in my anniversary post. We started from the city in relaxed manner post 12 noon and as expected the traffic towards our destination was very lean. Within no time we managed reached the airport interchange toll booth that too driving with conservative speed. 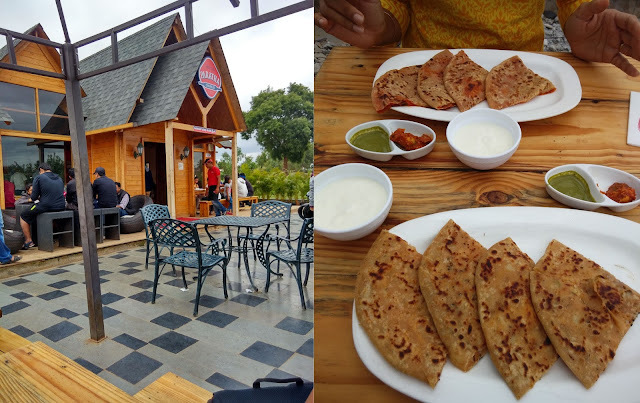 As per our plan, we had a stopover for lunch at India Paratha House which comes after Devanahalli town junction. The eat-out or rather hangout place was brimming with all genres of people - youngsters, families etc. The wooden structure and rot-iron/wooden furniture made up a unique ambiance which was blending perfectly with surrounding environment. The menu comprised various types of stuff parathas, q-parathas and pizza like parantzas. The parathas, chai and lassis filled our stomach optimally and kept us energized for rest of the day. After taking a deviation at Nandi Cross we continued our journey to the top. The stretch from the highway to the base of the hill is longer a countryside. There are several real estate developments or being planned. Not sure if we need a golf course, so many layouts and villas at green belt which has soil ideally suited for growing fruits. It's unfortunate to see developers encashing on disposable income of people without valuing the ecology of the sensitive area which is the source of 3 rivers - Arkavathy, Palar and Pennar. 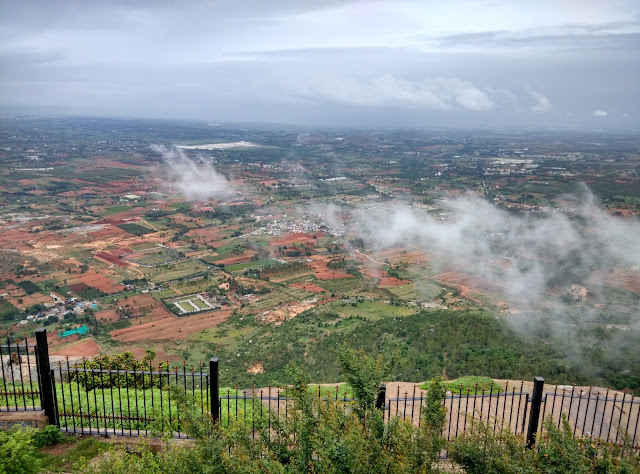 Since I was visiting Nandi Hills after a lot of years, was very keen to experience of catching the glimpse of downhills landscape from sky decks which were constructed in recent times. After clicking a few photographs from the deck, we had a stroll towards Gandhi Nilaya, the rest house where Gandhiji had stayed during his visit to Bangalore. Further ahead, we came across a small temple dedicated to Nandi(Nellikai Basavanna). Besides that there was an ashrama where some swami had meditated for a year. It started raining for a brief spell of time, since we had equipped ourselves pretty well, didn't face any issues during sightseeing. 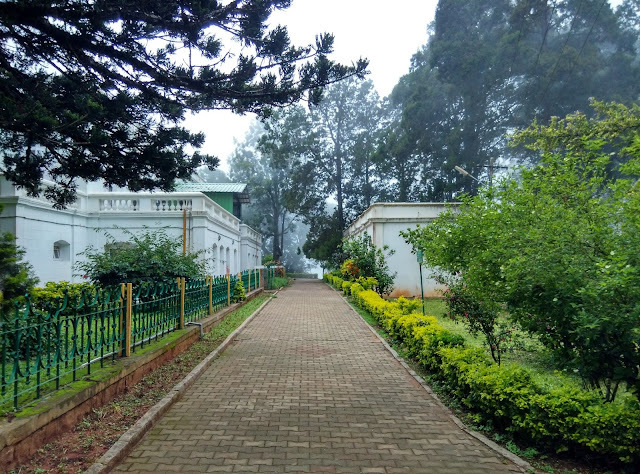 One of the major landmarks on the hills is Cubbon House - a guest house constructed in 19th century by Mark Cubbon, where he used to stay during summers. Post Independence, this house was renamed as Nehuru Nilaya and was the venue for SAARC summit in 1986. We offered prayers at Yoga Nadeeshwara Temple which is close to Tippu drop. While buying some fancy items inside the temple, we struck an interesting conversation with one of pujaris of the temple. Conversation revolved around philosophical discussions such as : 'Why we have so many gods ? ', 'What is this supreme power' etc. Later we came to know that he is native of Mangalore and has been staying at Nandi hills close to 45 years. Previously, he was managing the Mayura Hotel and later when the government took over the hotel, he moved on to pujari's job at the temple. Post 5 pm it suddenly turned very misty. 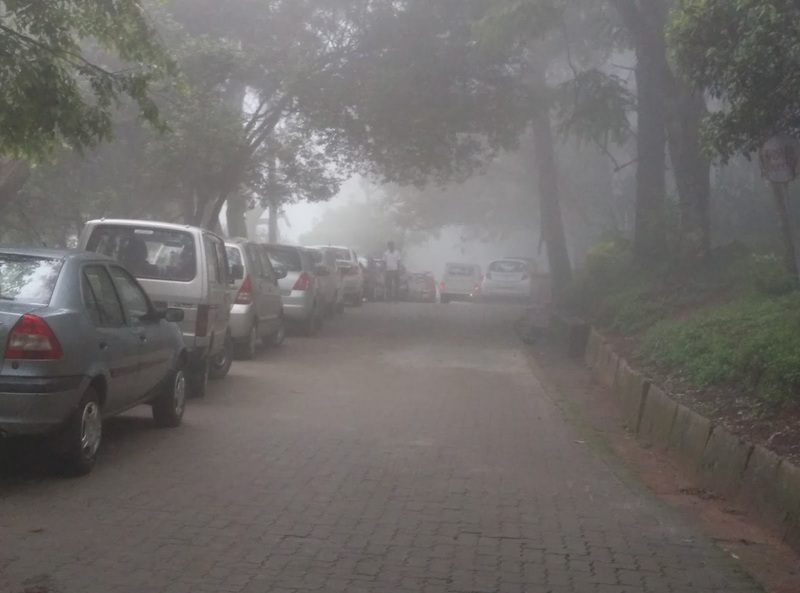 It provided us an experience at typical hill station like Ooty, Kodaikanal, Coorg and Chickmagalur. We started our downhill journey around 6 pm. Due to time constraints we could not explore a few landmarks but will ensure to cover it in our next trip. 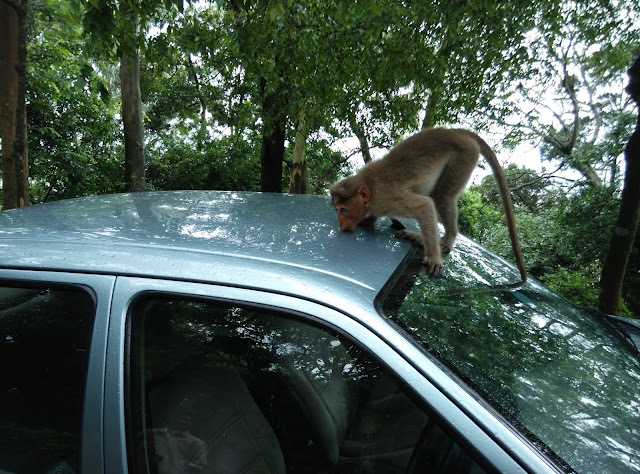 The trip which was planned to be an obligatory visit to the hills, surprisingly turned out to be very fruitful experience. Also, felt sorry to witness unwanted real estate development around ecologically and historically significant place close to Bangalore. Hope the sanity prevails and the place is preserved for generations to witness ! custom essay writing service we need work out more techniques in this regard, thanks for sharing.